OK, people. HDP v.10 is upon us. 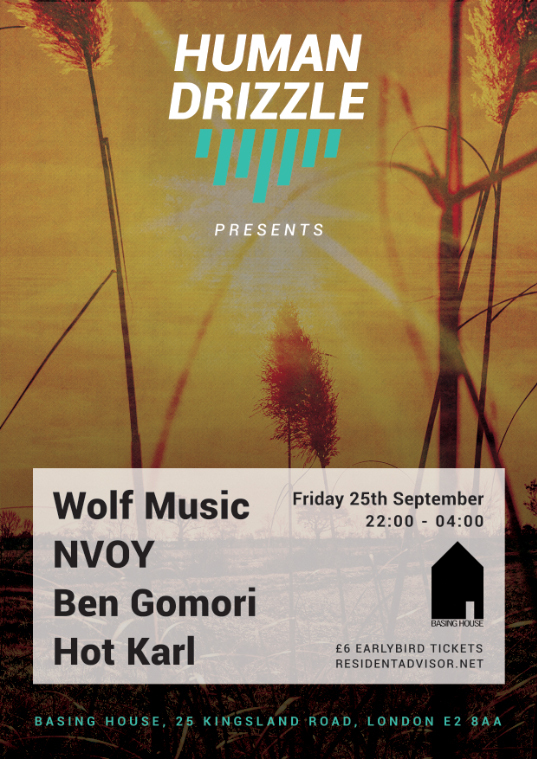 That end-of-summer party you’ve all been waiting for is almost here, and we’re delighted to announce our special guest headliners as the wonderful Wolf Music. If you’re unaware, Wolf Music are a duo consisting of Matt and Stu. They’ve been running the highly-reputable eponymous label since 2009, and they’ve been playing records for a lot longer. Deeply rooted in house, disco and soul, they’ve forged an identity for themselves as one of the hottest labels to keep your eye on, championing fresh talent such as Medlar, PBR Streetgang, Casino Times and Bicep to name a few. Their extensive record collection is rivalled by few and attracts bookings all across Europe. This summer’s seen them play at Gottwood and Festival No. 6. They’ve played for Krankbrother, at Dance Tunnel and they recently made an appearance at XOYO as part of Bicep’s residency. Check out a few of our favourites from the label’s canon below, and stay tuned for more on the duo very shortly. We can’t wait to see what they bring to the party this Friday night. Joining Black Butter Records’ new signing NVOY, HD fave Ben Gomori and our very own Hot Karl, you’d be a fool to miss out on this one. Tickets are here. Come join the fun.